Ritmo Salsero is a weekly spanish language (with some English commentaries) radio program that showcases some of the best Salsa music of all time. 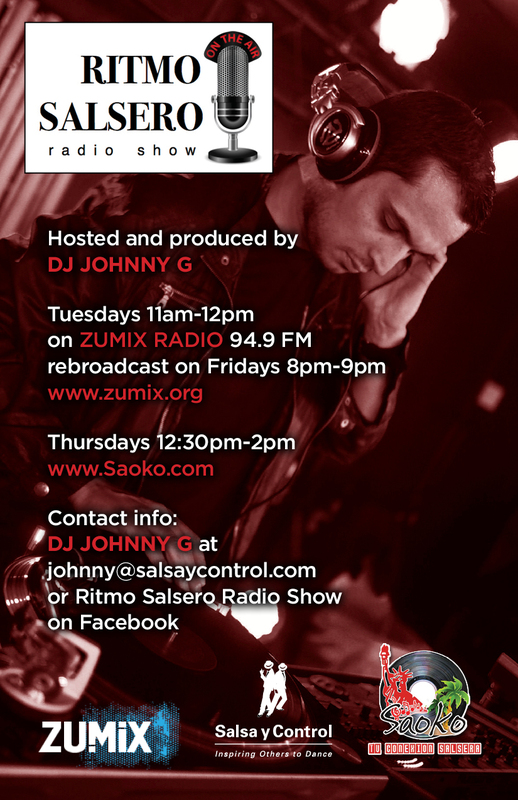 Join Johnny for a musical journey through the fascinating world of Salsa music. Each week we focus on different topics related to the history and evolution of the music. Featuring tributes to you favorite artists, interviews, guests and sharing stories and interesting facts about the music and much more! Available on the TuneIn radio app.